Acclaimed for her ‘sterling tone’ in the New York Times, Kris Kwapis appears regularly as soloist and principal trumpet with period-instrument ensembles across North America, including Portland Baroque Orchestra, Early Music Vancouver, Pacific MusicWorks, Bach Collegium San Diego, Staunton Music Festival, Indianapolis Baroque Orchestra, Chicago’s Haymarket Opera Company, Tafelmusik, Bach Society of Minnesota, Callipygian Players, Bourbon Baroque, and Lyra Baroque, making music with directors such as Andrew Parrott, Monica Huggett, Alexander Weimann, Barthold Kuijken, Matthew Halls, Jacques Ogg, and Masaaki Suzuki. Her playing is heard on Kleos, Naxos, ReZound, Lyrichord, Musica Omnia and Dorian labels, including the 2013 GRAMMY nominated recording of Handel’s Israel in Egypt, and broadcast on CBC, WNYC, WQED (Pittsburgh), Portland All-Classical (KQAC), Sunday Baroque and Wisconsin Public Radio. A student of Armando Ghitalla on modern trumpet, with a BM and MM in trumpet performance from the University of Michigan, Dr. Kwapis holds a DMA in historical performance, and lectures on historical brass performance practice with appearances at the Metropolitan Museum of Art, University of Wyoming, University of Minnesota-Duluth, University of Louisville, Madison Early Music Festival, Pacific Lutheran University, Seattle Recorder Society, and Rutgers University. 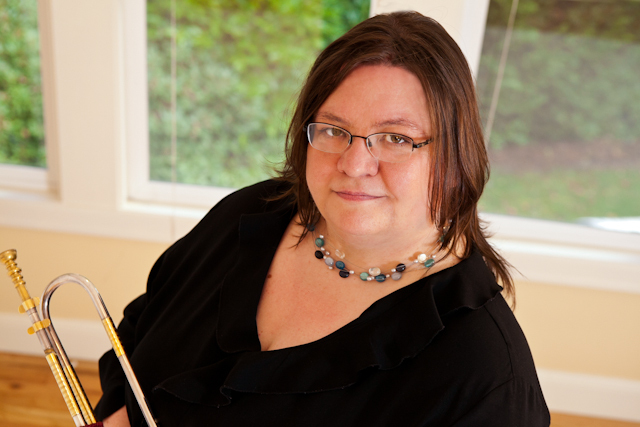 Dr. Kwapis enjoys sharing her passion with the next generation of performers as a faculty member at Indiana University’s Jacobs School of Music Historical Performance Institute (teaching cornetto and baroque trumpet) in addition to teaching at her home in Seattle and online. When not making music, Kris explores the visual art medium of encaustic painting. Copyright © 2011 Clarino Media All Rights Reserved.